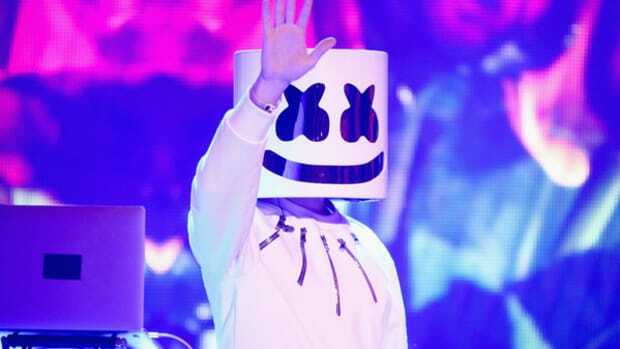 The City Beyond Tomorrow is calling our name! 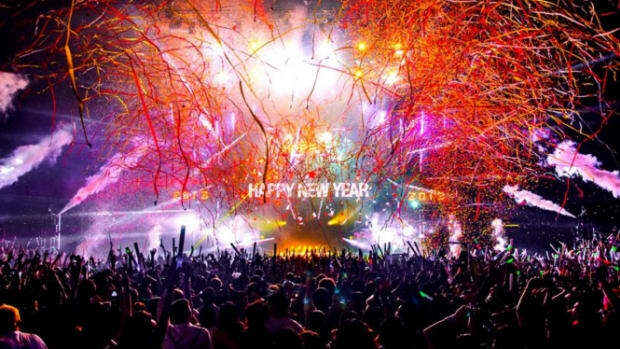 This month, Decadence Colorado is returning for "America&apos;s Largest NYE Dance Celebration" on the 30th and the 31st. In just a few weeks, 40,000 people will come together to ring in the new year with friends, family, and music-lovers alike. 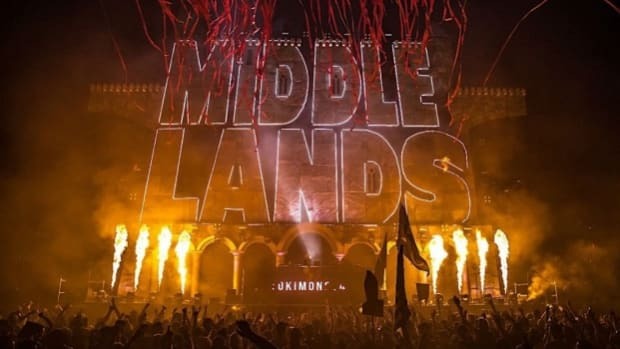 Over 55 artists including Bassnectar, Galantis, Porter Robinson, Armin van Buuren, and Odesza will grace the two massive stages and a silent disco garden over the course of two unforgettable nights. 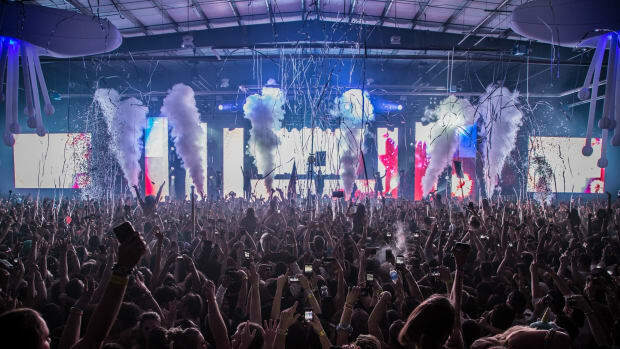 Presented by Global Dance, AEG Presents, and Live Nation Concerts, this festival will be "filled with jaw-dropping production, exquisite decor, enchanting performers and unimaginable innovations just waiting to be discovered." 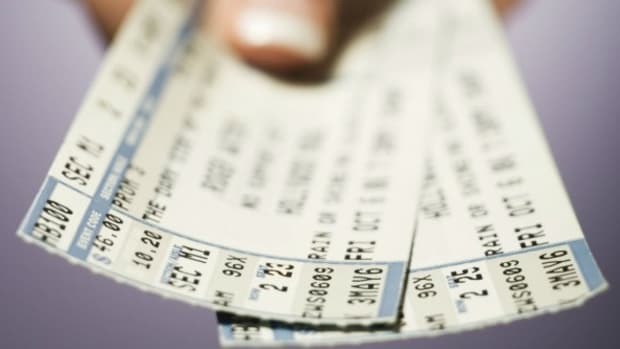 Ticket buyers have been getting excited for the event that comes complete with extravagant decorations and light displays, various food and water stations, bars for those 21 years of age or older, and VIP viewing decks. This year, the city also welcomes cyber-electro citizens in stilts and beautiful costumes. 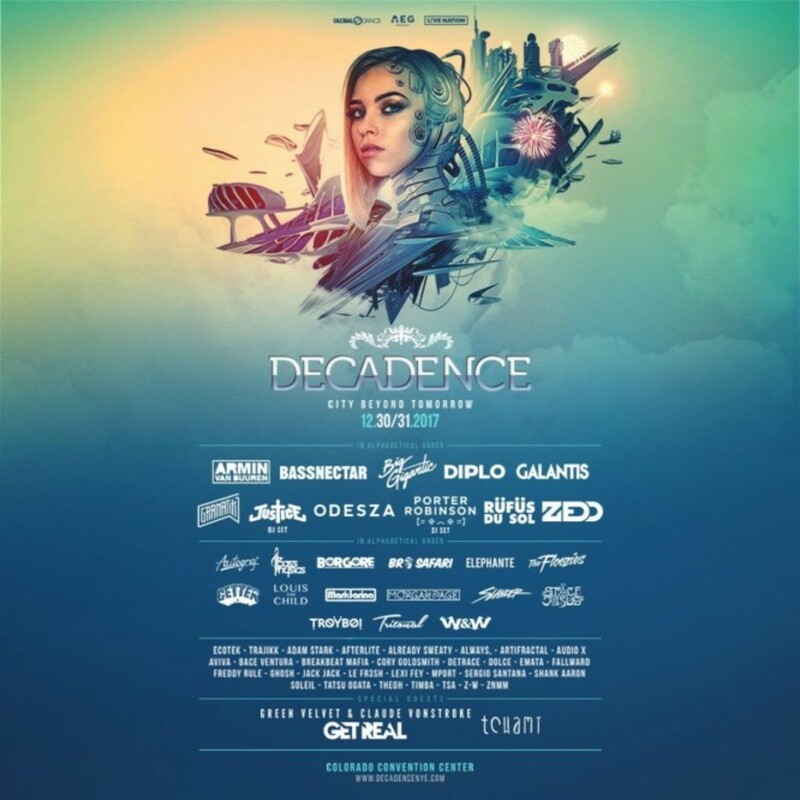 Just yesterday, Decadence released their official trailer for the 2017 edition of the festival. Backed with music from Colorado natives Big Gigantic, the video shows shots of the city of Denver along with clips of performers from last year. 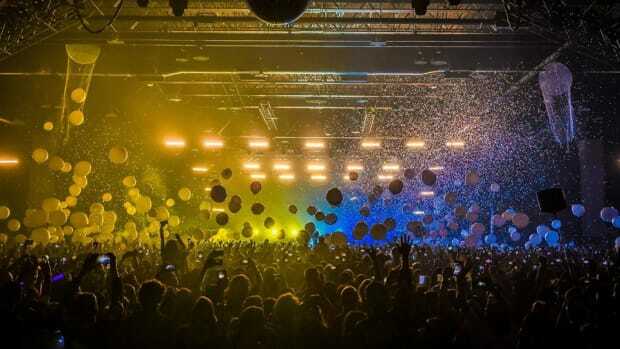 Citizens are shown dancing and jumping along to the beat leading up to the infamous countdown to the balloon and confetti drop. 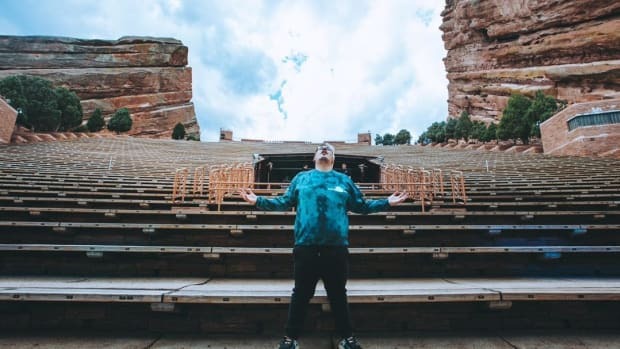 If you dream of heading to Denver to sway to the melodic bass, get down to the funky stuff, or head bang on the rail to dubstep, we&apos;ve got great news for you! 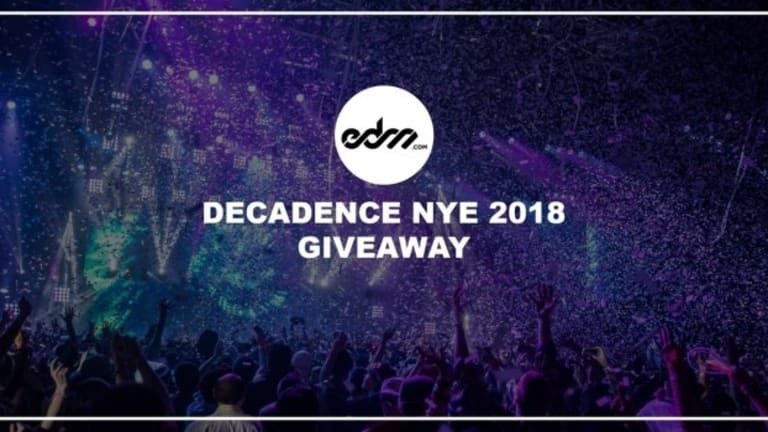 EDM.com has teamed up with Decadence to hook you up with TWO tickets to the biggest New Years Eve bash in the country! If you&apos;re as excited for the festival as we are and don&apos;t want to risk your chances, tickets are not sold out yet! Follow the link to purchase either one or two day tickets. 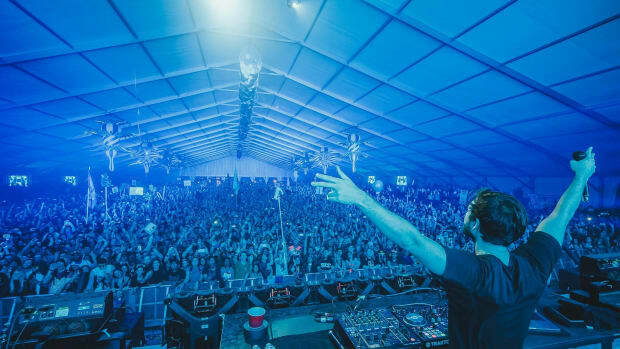 For more information about Decadence including FAQ&apos;s and social media accounts, visit decadencenye.com.